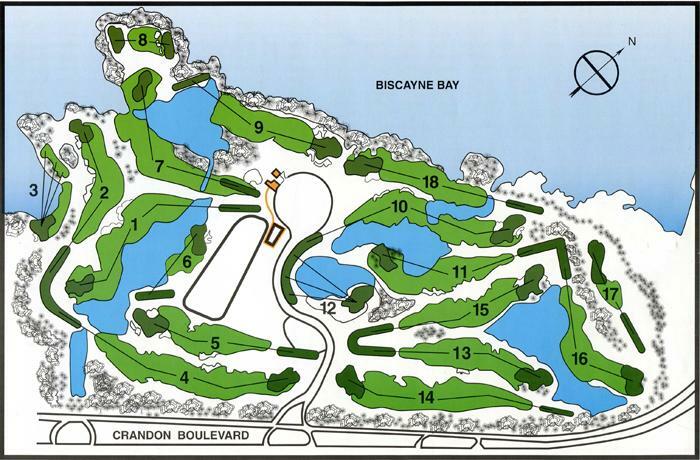 The course offers a unique playing experience featuring seven saltwater lakes, challenging sand traps, mangrove thickets, and holes overlooking Biscayne Bay. It’s the only course with a subtropical lagoon in North America. It also has a fully stocked pro shop, cart and equipment rentals, pro lessons, a lighted driving range, practice chipping and putting greens and is a short drive away from Miami and South Beach. Escape to Crandon Golf Key Biscayne for a unique and challenging golf experience.